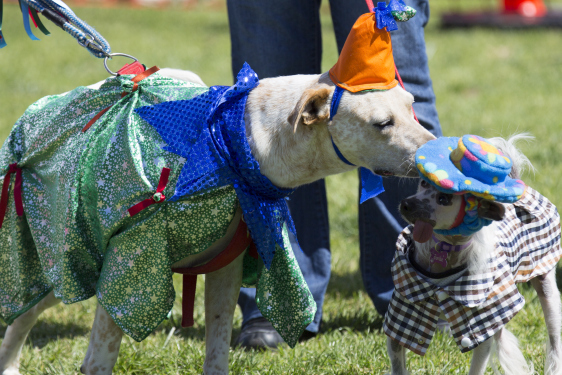 Following on from the huge success of the first Dogs Day Out in 2012 we have decided to make this an annual event. 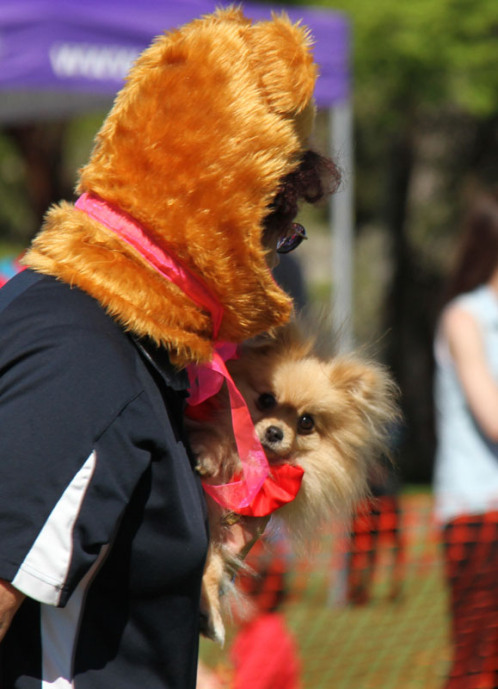 Held in Mobara Park and the Denison Centre in Mawson Lakes, there are loads of stalls with everything your dogs heart desires, from pupcakes to coats to toys and treats. 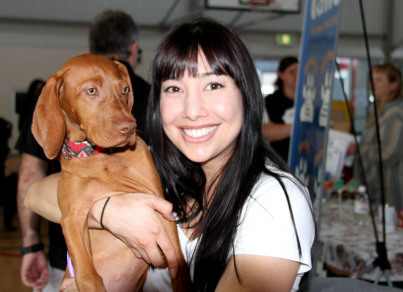 There are also lots of dog trainers, behaviour advisors, breeders and therapists to give you advice and assistance. Competitions that are free to enter, for most photogenic, best dressed, look alike, and best trick. 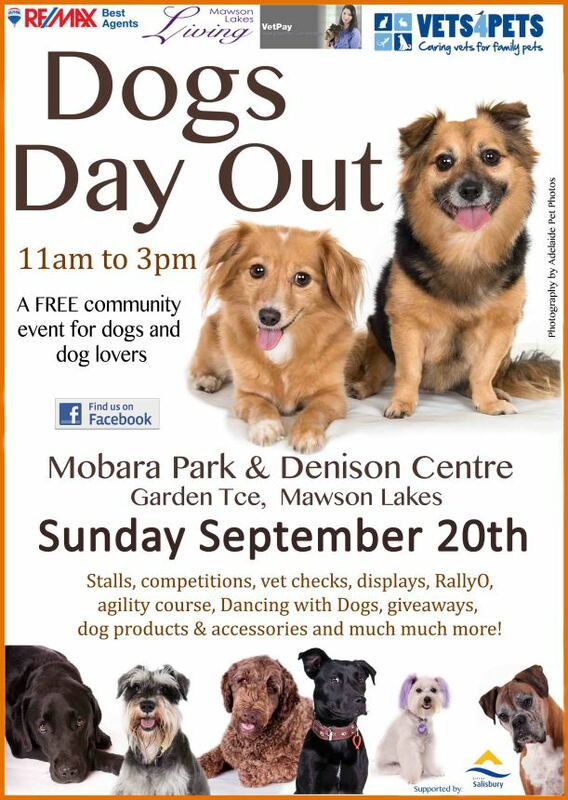 Several dog rescue organisations will be there with some lovely dogs looking for their furever homes. Our local vet will be there giving advice and free vet checks. 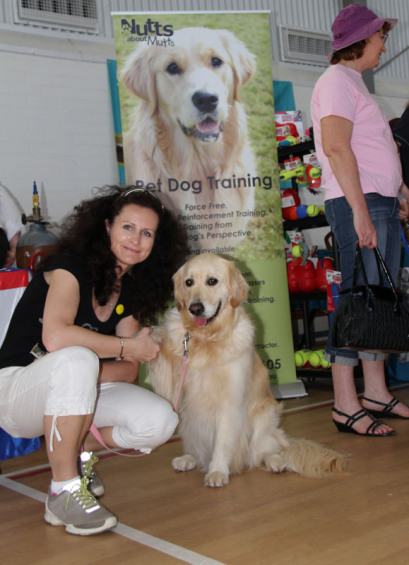 Displays by Dancing with Dogs, Flyball, Agility Dogs, and much much more. Human food available at our hot DOG stall, pizza and latin food stalls, coffees, ice creams and cakes. Arena Events: We are so excited to have a new event coming to our arena this year. Flyball is an exciting relay race between two teams of four dogs. 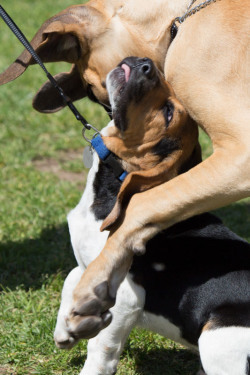 It is a sport that gives dogs everything they love - retrieving, catching, jumping and pleasing their human. And any breed can compete - all your dog needs is to be well socialised, able to be controlled by voice and a love of balls. 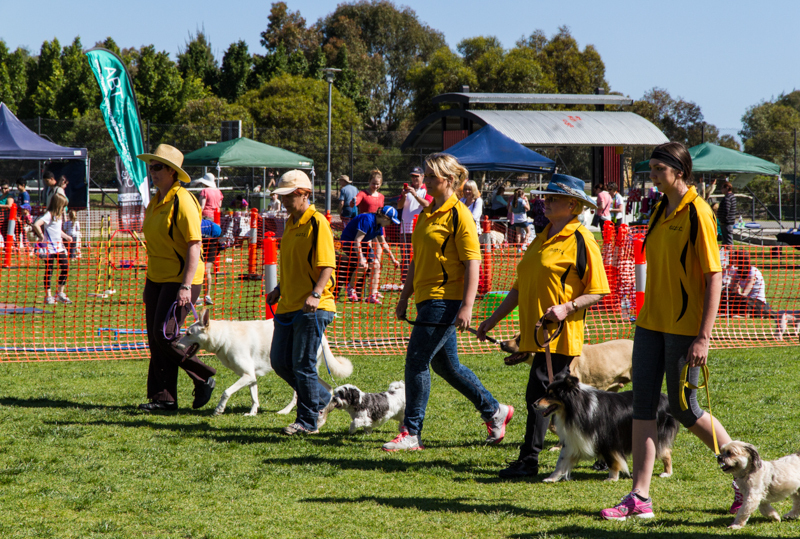 The Para District Obedience Dog Club runs regular Flyball training and competitions and this year they will be bring it to the Dogs Day Out. 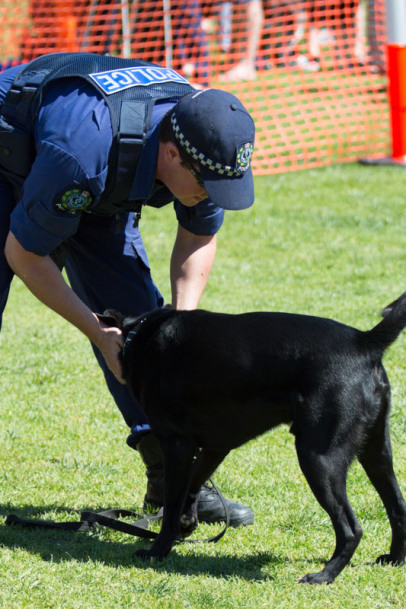 It's a great sport to watch and the dogs that are participating have so much fun. We are so happy that ABT will be with us again as they have been for the last 3 years, with their fantastic agility course set up, doing demonstrations and giving you the opportunity to take your dog into the course and have a go. 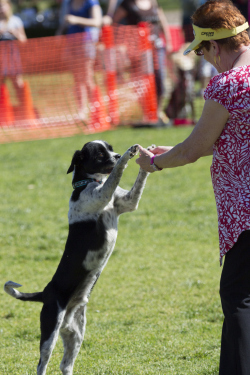 And to top it off a great display of doggy obedience and the skills that can be achieved by the Gepps Cross Obedience Club. Would you like to have a stall at at the next event, or are you interested in volunteering? 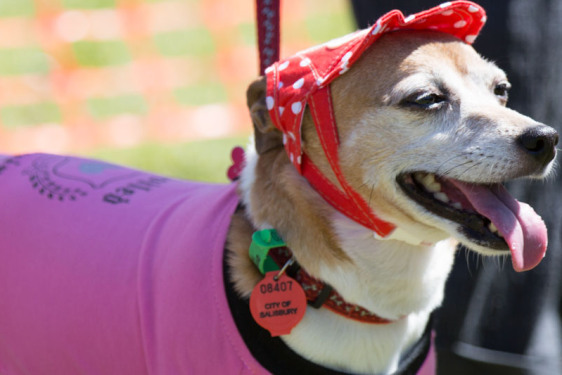 Want to help make the next Dogs Day Out even better? Got some great ideas you want us to look at? Then please get in touch with us!